Breast form covers are very useful. They help keep you drier on those hot days when perspiration becomes a problem. 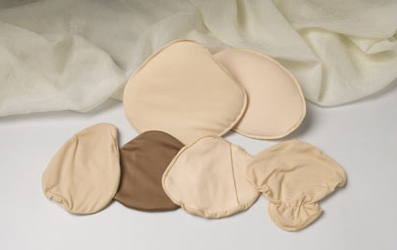 They can be used as bra pockets in non-mastectomy bras, as well as sewn into your bathing suite. Or just to protect your breast form when not in use. Packaged one pair per unit.